“The god Sobek, which was depicted as a crocodile or a man with the head of a crocodile was a powerful and frightening deity; in some Egyptian creation myths, it was Sobek who first came out of the waters of chaos to create the world. As a creator god, he was occasionally linked with the sun god Ra. The Egyptians so adored the crocodiles, they named a town after them: Crocodilopolis, where these creatures were worshipped and adorned with bedazzling gold and jewels. The crocodile god, Sobek, symbolized ultimate power, protection, and fertility to the ancient Egyptians. Sobek was one among several gods responsible for weighing the souls of the dead. In this light, we can’t overlook the symbolism of discernment, judgment, authority and guidance in conjunction with the crocodile and the role of Sobek in ancient Egypt. Kunbi-ra, (perhaps derived from a phonetic connection with KomOmbo’s Ra), is the Ganges river crocodile god. The Hindu god of the Ganges River, Kunbi-ra is thought to have become incorporated into Buddhism and became Kubira Taisho and with the syncretism of Shinto and Buddhism. “Crocodile worship is practiced in some parts of Goa. Every year on the day of the new moon in January a ceremony called the ‘Mannge Thapnee’ is performed. 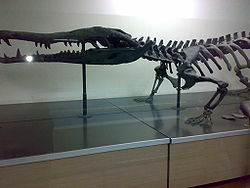 People construct a crocodile from silt, shells are placed as eyes and scales and sticks for teeth. The crocodile is then adorned with flowers and vermillion. A live chick is offered as a sacrifice and placed in a depression. The crocodile is believed to be a guardian deity or protector.” — Source: Indian crocodile. Crocodile Specialist Group Newsletter, Vol.14, No.1, January – March, 1995. In ancient Hindu scriptures, makara refers to a mythical sea-creature that somewhat resembles a crocodile. It is often depicted as the vahana of Goddess Ganga, who represent the river Ganges, and Lord Varuna, God of wind. It is also the vahana of the river Goddess Narmada. Strongly supporting this connection is the existence of a tribe called Kunbi located largely in Northwestern India (with a subcaste called Wani (Bania) and Wanjari Kunbi are descended from Rajput clans and and Gujerati origins are also implicated. 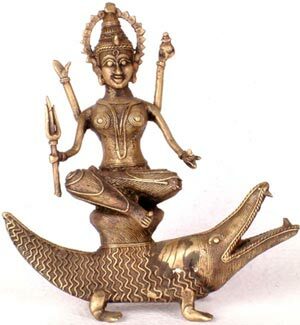 The mythical deity Ganga‘s iconography is her animal mount and pedestal, which is the makara. The makara, is a hybrid creature having the body of a crocodile and the tail of a fish. Thus, the diffusion of the Kunbi-Wani tutelary totems from Egypt’s Komombo-Ra to India to East Asia through maritime trade, we posit here is the likely origin of the Konpira deity venerated at Konpira shrines. In the town of Kotohira in Nakatado District of Kagawa Prefecture, the Konpira-Daigongen (金比羅大権現) shrine, is a Shinto shrine founded during the 1st century. Although the crocodile totemic origins appear to have been forgotten, having been transformed into snake or dragon symbols, the principal kami enshrined in the shrine is Ō-mono-nushi-no-mikoto, a spirit associated with seafaring that is interchangeable with and also referred to as the Buddhist deity Konpira. “In the Hindu chakra system, the crocodile governs the sacral chakra (Svadhisthana). This is a developmental energy, as the sacral chakra is a power-center of creation. The crocodile in this chakra encourages creativity and balance. This chakra-crocodilegoes deep into our emotional core and resurfaces with dynamic creative power. 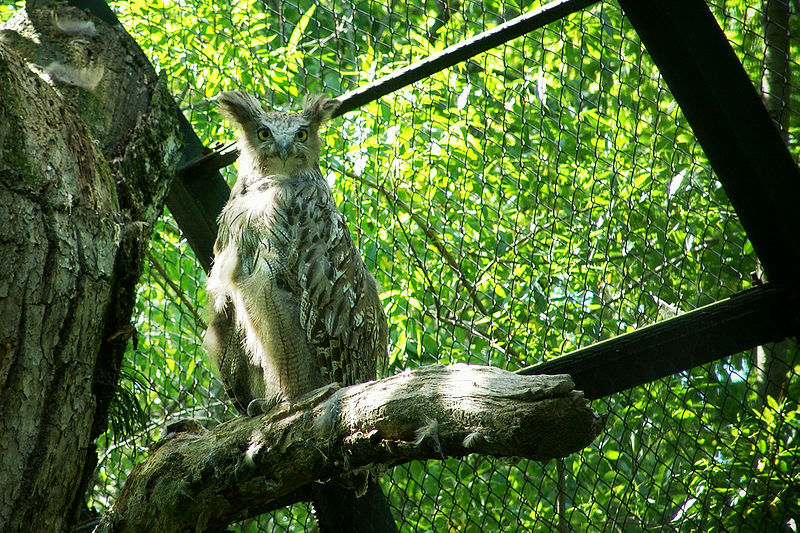 Read more about chakra animal symbols here. Symbolism of the great crocodile parallels in several aspects with its ancient brother,the shark. Both rulers are amazingly strong, silent, cunning, and fearless. Both have highly effective skin and perpetually regenerate their teeth. In many Native American tribes, alligators are symbols of status and power. Because it is easily comfortable on land and water, many tribes consider them as creatures responsible for creation. The alligator is a mediator in many Native legends, because it emerged from primordial waters in creation myths and brought forth the sun and the earth. Mayan legend tells of four crocodiles supporting the entire world – keeping it’s delicate balance in-tack by the strength of their backs and with fierce determination. The alligator appears in Mayan astrology too. In their zodiac, those born under this Day-Sign are instinctively superior and sensitive to criticism. Those with the alligator animal totem should examine their fears, both conscious and subconsciously. People born under the alligator/crocodile sign of the Mayan zodiac also have access to incredible, primordial power. They are open to new beginnings, and often see opportunities where others see nothing. Considering the absence of wani crocodiles in Japan in historic times, it is highly likely that the crocodile motifs were imported totemic clan identifiers, transferred to Japan through an arriving or migrating tribal clan of Vedic Indian origins (such as the Gujerati-Indian Kunbi-wani tribes). The wani motif can be found in abundance in the legends of Shimane prefecture…see the Hare of Inaba. When the etymology of the kanji characters for the Watatsumi deity that is associated with the wani tales, we see a connection with seafaring navigators of the cotton trade (i.e. with India). 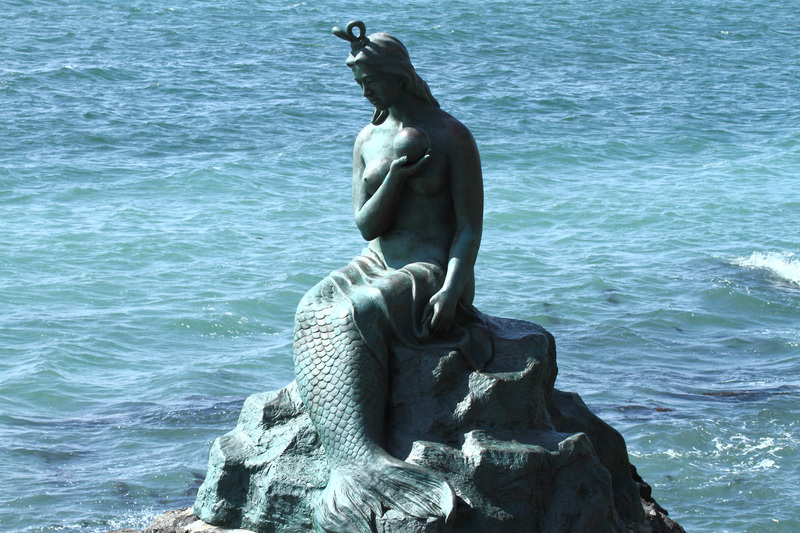 The Konpira deity of Konpirasan, dedicated to sailors and seafaring is the subject of a folk song of the Shikoku region, indicating however, a fisheries connection. To “♪ konpira ships, pursuer for sail shurashushushu. Guardian deity of seafarers in the folk song sings of the progress of the favored ship of a popular God who is known in the whole of Japan. The deity is believed to be the god of voyaging and ships from olden days, in particular, associated with persons concerned with fisheries.